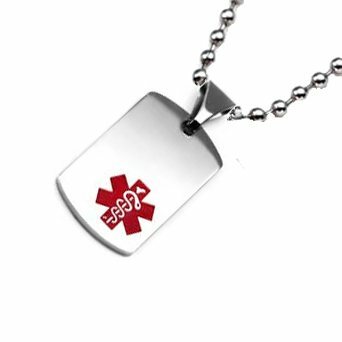 This hypoallergenic petite stainless steel medical id dog tag can be engraved on front and back with medical information. FREE Etched (Discreet) Engraving. 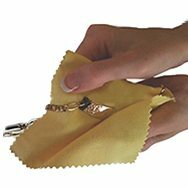 24" Stainless steel bead chain included! No further discounts on this laser engraved item. Be sure leave appropriate spacing between words!